If everything on Earth were the same, our planet would look like a big, smooth ball--uniform and not very interesting. Instead, Earth is like a giant jigsaw puzzle, made of many different parts, from the layers of rock beneath our feet to the atmosphere above our heads. Driven by energy, these puzzle pieces of Earth are always moving--the oceans, the mountains, and even the land we stand on. Learn what these various parts are, the kinds of energy that drive them, and how they fit together in the living planet we call home. 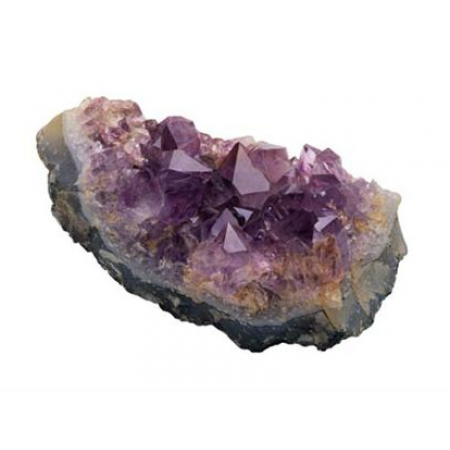 Find out what makes one mineral different from another and learn some simple tests to show what kinds of fascinating minerals make up common rocks. Discover, too, that almost half the earth's crust is made of one very important thing--oxygen. Do you know where that big rock in your backyard came from? What about the little, flat rocks you skip across a lake? Why are rocks different colors? Why is one smooth and another jagged? Learn how rocks are "born" and then how they're "reborn." Discover different types of rocks, how they're made, what they're made of, and how they're constantly changing. Our home planet is like a giant onion. Explore Earth's interior by peeling back each layer to uncover what lies beneath. Find out what the layers are made of, how they move and alter the landscape, and how scientists have used seismographs to learn about the mysteries of our planet's depths. Scientists think that, from one supercontinent that broke apart into smaller continents hundreds of millions of years ago, the continents have been moving around ever since. Explore the forces driving this large-scale motion, and discover what happens when two continents meet on a collision course. How can simple things--gusts of wind, drops of water--cause Earth's surface to change? How does a young river affect the land? What about an old river? How can rivers be "young" or "old"? What does a glacier do to the land? Explore the relentless processes of weathering, erosion, and mass wasting on Earth's landforms, and learn how they work together over time to change the way our planet looks. The past is still with us today, if you know how to look for it. More than a million living things have left traces of their bodies in the earth. Dig up some fossils and discover how things looked in the distant past, from ancient environments to long-ago animals and plants. Learn how to play detective and read the clues told by the walls of the Grand Canyon. If you could stand on the moon and look at the Earth, you'd see a big, blue ball. Why blue? Most of Earth's surface is water: lakes, seas, and deep oceans. Learn more about all the splashing, sloshing stuff that covers three-fourths of the planet. Explore tides, waves, thermoclines, and water temperatures. And find out about a phenomenon called El Niño and its effects on our world. Snow usually falls quietly and softly, yet it has the power to bring down power lines and shatter tree branches. Rain can cause the land to bloom with flowers and crops, but it's also capable of washing away fields and trees. Winds can do everything from mussing up your hair to rearranging the face of a rugged cliff. Learn what weather really is, where it comes from, why it happens the way it does, and how constant changes in weather are part of what happens in the energy-filled outer shell of Earth known as the atmosphere. What happens to the soda can tossed into a recycling bin? Learn about the potential and perils associated with both renewable and nonrenewable resources. Become a scientist as you design and carry out your own experiment. Discover how the scientific process works, what makes it different from just guessing, and why it's the most powerful and successful way of figuring out how the forces of nature work. What does a faraway star in the night sky have in common with our own blazing sun? What causes the sun to burn so brightly and with such heat? Explore comets, asteroids, meteorites, and asteroids. There is much to learn about the amazing universe, from a theory called the big bang , which explains how the entire universe was formed, to the reason why days are longer in summer and shorter in winter.